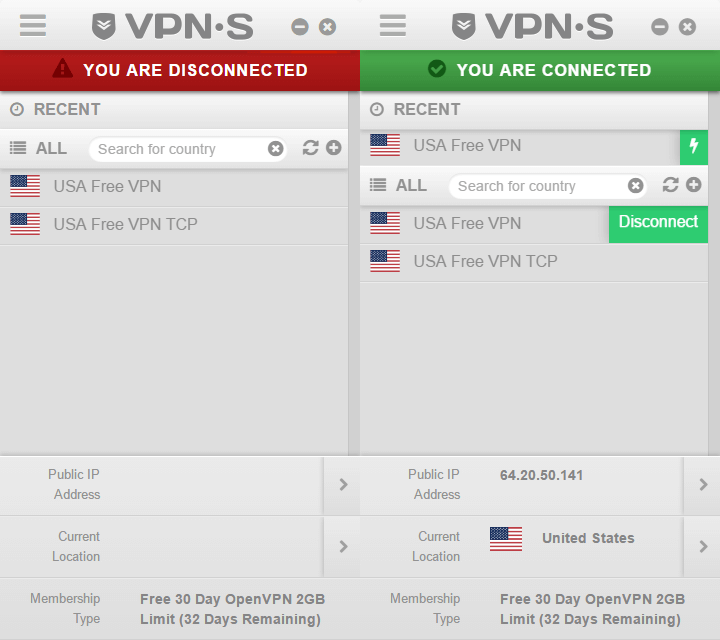 VPNSecure.me is a VPN service that’s almost a decade old. There’s probably a reason why they’re still operating, right? 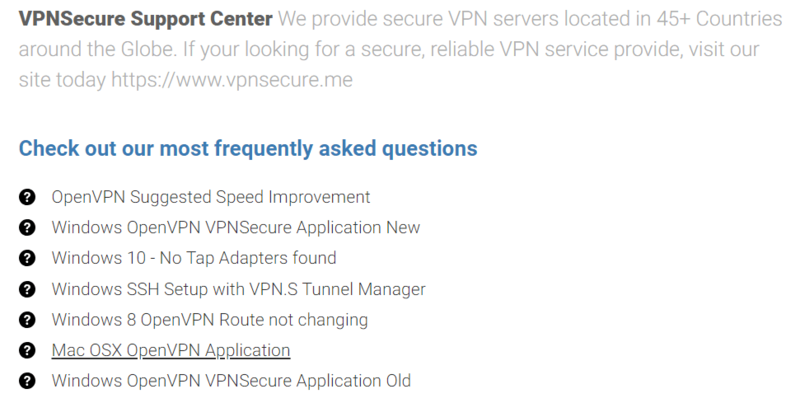 VPNSecure proudly boasts that they’re “anonymous, fast & reliable” (in caps, no less). When we look at VPNs, those are exactly what we need! But then again, we always have more demands and we certainly can’t jump to conclusions. In our VPNSecure review, we have to see some real-life test results. Keep reading, and let’s see if VPNSecure can prove their claim. A lot of people stay away from credit cards when purchasing VPNs as this discloses a lot of information from buyers. This is the easiest way to get your name, your addresses and a lot more that could potentially hinder your online anonymity. It’s great that VPNSecure offers lots of payment options through third-party merchants; they also accept Bitcoin for a totally anonymous transaction. Refund Policy: Best trial period in the industry? A lot of users would appreciate the fact that VPNSecure allows for a 30-day trial without having to input any credit card information. Yes, you read that right. 30 days without any credit card information. 30 days is really more than enough time for a person to determine whether they would want to commit to a subscription or not. One thing to note about the trial – bandwidth cap is set at 2GB per day. That’s not so bad for streaming and online browsing, but this can be a minute allowance for users that download through P2P services. 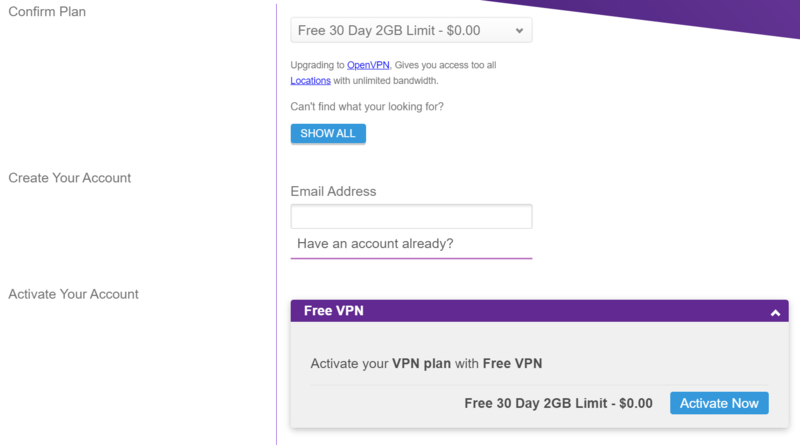 Still, some VPNs offer 2GB or less in total during the free trial period. This free trial is possibly the best free trial plan in the industry. The compatibility of VPNSecure covers the essentials; Windows, Linux, Mac OS, Android, and iOS. We honestly hoped for more options like Amazon FireTV, and gaming console support from their price range. Having a WiFi router is an ideal internet privacy setup for homes and even small offices. Activate your account on their website. For the account creation, you can even use a fake email for anonymity as there’s not much email communication during the trial period. 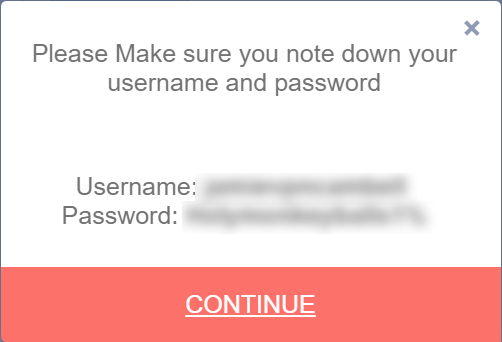 You will be assigned with a username and password, which you can change if you desire to do so. For anonymity-sake, this is actually a great option since most people would use their usual username/password combination. No matter what anyone says about this, it’s a great feature. Setting it up wasn’t so difficult either. It’s no different from any software installation, and we’re sure you can’t get the installation process wrong. Using the app is as simple as installing it, you will be greeted with a login screen once you opened up the software. Remember the login credentials that were assigned to you? You will need to use those to access their service. At least the login screen looks nice! The main interface is quite simple to use, you have a list of available services and you can just easily click “connect”. This is a personal nitpick, but we’re quite bothered with the idea that the login screen does not thematically gel with the main interface. That idea does not affect the VPN performance at all, and it’s not to discredit their easy-to-use menus. It’s just a matter of cohesiveness throughout the entire user journey. Every time we see live chat widget powered by Zendesk, we already have a clue that the support is going to be managed by humans. Thanks for the honesty, Adam! Bots are getting smarter these days, but it’s hard to look away from the personal touches that human customer service reps can give. We were able to talk to a human rep, and it’s a delight that our queries were responded to within a short timeframe. Live chat support is one of the benchmarks of a VPN provider that really values customer service. And we commend VPNSecure for having it. When it comes to VPN services, we need to take a deep look at the security levels that they can offer. VPNSecure utilizes both 128-bit and 256-Bit AES encryptions. This means that there are so many possible combinations that no brute-force hacker would even attempt to try. As of today, even the world’s fastest supercomputer would take over a million years before it could possibly decode that level of encryption. 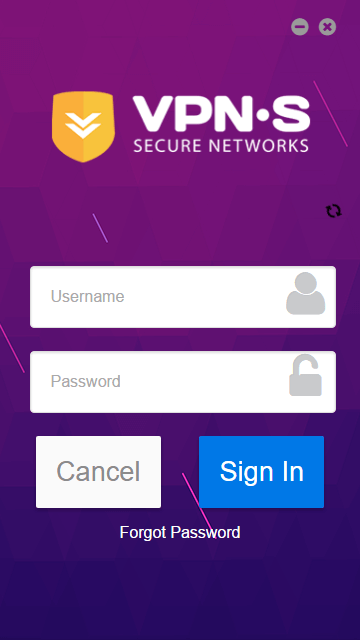 We’re confident that VPNSecure offers a secure connection, just don’t forget to turn it on since it’s set to “off” by default. 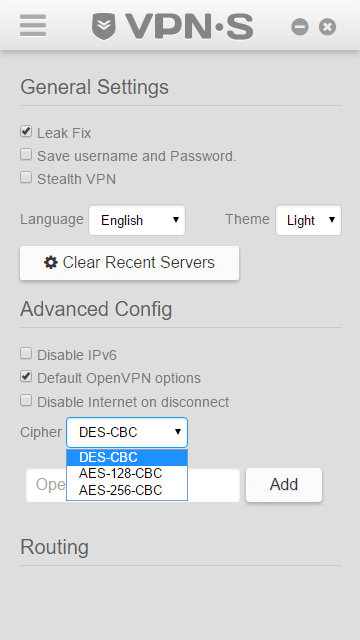 Don’t forget to turn on AES-256-CBC! A kill switch has one simple task – if you’re not connected through a VPN server, it shuts down your internet connection. This ensures that you will not be in a position where your connection is vulnerable to threats. You can find this in the settings menu as a tick box called “Disable Internet on Disconnect”. Can you imagine a life without Google, YouTube, or Facebook? That’s the life of billions of people in China due to the censorships imposed by their government. Their censorships even go far beyond to blocking VPN services, should your ISP detect that you’re using one. VPNSecure has a feature called Stealth VPN which is basically an obfuscated server. Obfuscated servers hide the fact that you’re using a VPN by masking your connection as regular HTTPS traffic. Your ISP will never know you’re connected to a VPN and you can freely enjoy the internet. Okay, there’s no denying that a server count of less than a hundred is really few, but let’s not be so quick to judge VPNSecure on that criterion alone. We’ve seen the likes of Avast SecureLine VPN with just 55 servers performing significantly better than a number of VPN providers with thousands of servers. So, we have to give VPNSecure the benefit of the doubt until we’ve seen the tests (more on these later). Their servers are spread out in 48 countries, and some of their servers are on gigabit connections – this is a good indicator of fast speeds. During the first speed test, we were surprised that there was almost no loss in download speeds; something unusual for a VPN. Upon investigation, we found out that VPNSecure cheats a little bit by switching off data encryption by default. Having no encryption will allow you to get the fastest speeds at the compromise of not having your online activity concealed. But since we’re doing a VPN review, we have to look at transfer rates that have gone through data encryption to give a fair comparison. The results we got from our NA and EU servers show that the speeds from VPNSecure do throttle a little more than what we’re comfortable with. But that’s not to say that it’s unusable; in fact, we were still able to stream content in 1080p effortlessly without buffering or connection losses. Although not directly advertised as one of their features, our tests show that torrenting works on their servers. Torrenting and peer-to-peer file sharing weren’t mentioned in their information resource so we really don’t know where VPNSecure stands on this issue. But as we mentioned earlier, it works. Still, we can’t recommend VPNSecure for torrenting because we don’t know if a dropped connection may expose your activities. For safe torrenting, we recommend checking out our top VPN suggestions here. We scoured their website for every bit of information that we could possibly get from them. Their documentation are more or less complete; you have your standard FAQs, terms of service, and setup guides. The only thing we can fault about their documentation; it looks dull. There are no fancy menus and graphics like other VPN providers, and the articles are rather bland. 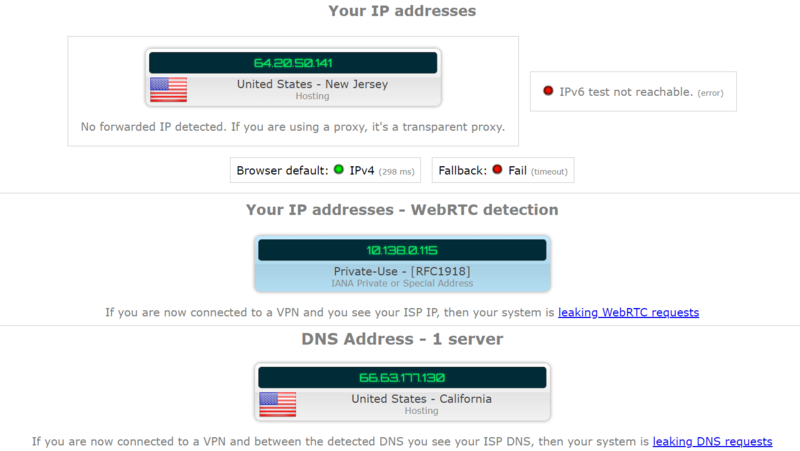 IP and DNS Leak Test: Passed…? If you’re trying to stay anonymous online, your best solution is to use a VPN; it’s the best way to mask your location, IP address, and online activity. A VPN service that leaks out your IP and DNS poses a critical threat to your anonymity. These leaks are the easiest way for you to get exposed on the Internet and they should be best avoided. We ran our tests for leaks and we’re happy to say that VPNSecure passed this test easily. This gives us an assurance that the security features are working well. We tried opening up Netflix on our test computer and VPNSecure was immediately flagged as a proxy server. 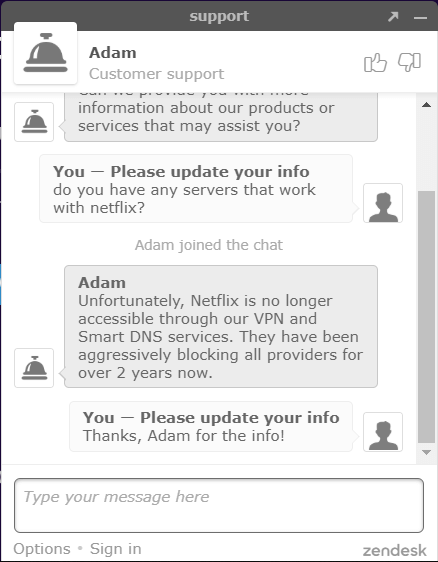 Netflix has this reputation for being extra stringent against unblockers and proxies, so the block didn’t come off as a surprise for us. This is quite upsetting since VPNSecure actively advertises that their service can unblock content & websites. So, if Netflix is one of your reasons to get a VPN, consider more Netflix-friendly VPNs like ExpressVPN. We wouldn’t exactly call it “awesome”. 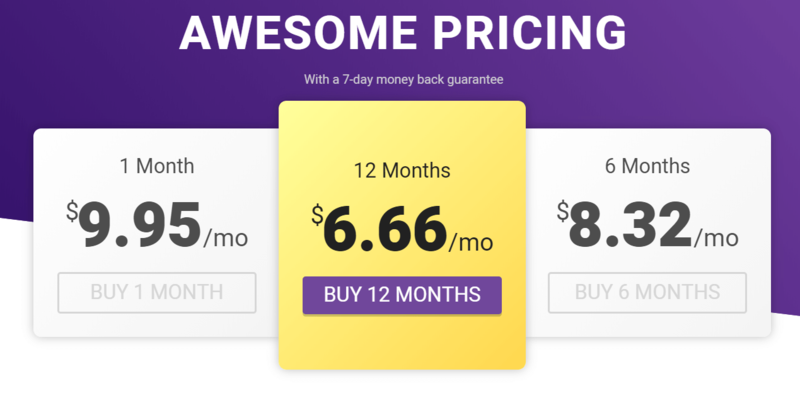 The cheapest rate you could get for VPNSecure is $6.66 per month for a 12-month plan. For a VPN provider with a low server count and no Netflix availability, we can’t call this a cheap service. What justifies the price point for us is that there are no limits to the number of simultaneous connections on this VPN with the right router set up. …but we don’t see any other advantages. Logging Policy: Strict, but conditional? VPNSecure has plastered the words “No Logs Ever” in almost every page of their website. They even made this bold claim that if required, they will move jurisdictions for you (they’re under the watch of the Five Eyes; more on this in a bit). Reading those words can be quite comforting, but it’s not like it’s our first time looking at a VPN provider with such claims. Some VPN providers would have “strict no-logs policies” yet are still keeping some logs and can sometimes be cooperative with government agencies. This condition gives the government an upper hand over your privacy which basically may defeat the purpose of using a VPN. You will never know if VPNSecure starts to secretly log your activity. But for users that would want every bit of anonymity possible, we recommend choosing a VPN that operates in safer jurisdictions like ExpressVPN. VPNSecure has some history, being founded in 2010. The operating company is VPNSecure Pty Ltd and is headquartered in Australia. More than their own B2C VPN service, they also offer White Label VPN which allows you to start out your own VPN service based off their own API. Very few VPN providers offer this service and this has also allowed VPNSecure to create enterprise solutions with fully customizable VPNs. If you have heard of the Five Eyes Alliance, then you will understand why we were a bit turned off when we found out that VPNSecure is based in Australia. But to shed light on the subject matter: the Five Eyes is a close-knit group that is composed of the US, UK, Australia, Canada, and New Zealand. These countries have access to communication networks and data, and they can even mandate your VPN provider to turn over all of your personal information to them. That is, if they have been logging anything. In that regard, we really can’t confidently say that VPNSecure can offer the highest level of anonymity. Going back on VPNSecure being “Anonymous, Fast, & Reliable”; we’ve seen in this review if they were able to live up to the claims. We would consider it “Anonymous (maybe), Fast (somewhat), & Reliable (but lacking features)”. Speeds were average and usable enough, the software works and is easy enough for anyone to use but anonymity & privacy wise their users should be worried. They have decent security features and provide a degree of obfuscation, but they still lack in some key areas like anonymity, privacy and Netflix support. In conclusion, we see a lot of things for VPNSecure to improve on, but some of the fundamental features are sound. All that said… There’s so many better options, we highly recommend picking a VPN from our top list.